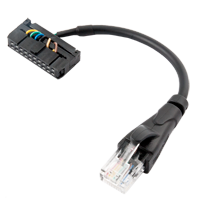 Adapter for ATF 20PIN EMMC - RJ45 is used to allow connection EMMC Adapter with 20 pin connector to ATF Box. 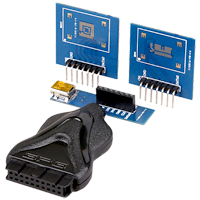 EMMC Z3X JTAG Pro 3in1 Adaptor GPG allows to easy repair of phones with disabled access to bootloader via DCC (GT-i9300/N7100/N719/N7102) or phones with demaged JTAG pinouts (access to ROM2 by EMMC). In PRO version allows low level formating of EMMC, easy one button repair boot via EMMC Direct, repartition Slave/Master. Adapter you can use for BGA direct connection. Adapter EMMC for Riff BOX - RC1000 allows a very simple repair phones with blocked JTAG access (GT-i9300 / N7100 / N719 / N7102, etc. ), repair phones with damaged JTAG points/pads (access to ROM2 by EMMC) or read/write EMMC applicable for the data recovery/analysis. Using the adapter you can perform format EMMC or low-format (in case of damage EMMC), CMD42 Lock/Unlock/Pasword reset or Samsung eMMC Factory Format. 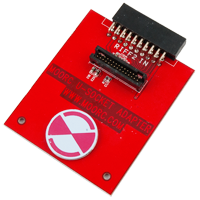 Our adapter allows you to connect in ISP mode (directly onto your phone without removing the EMMC) or Direct (by removing the BGA soldering and the corresponding memory fields or using adapter). 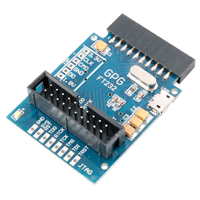 Adapter EMMC/JTAG ATF v2 5in1 GPG is leatest edition of GPG adapter for ATF users that allows you to use special JTAG / EMMC / ISP functions with your ATF Box. 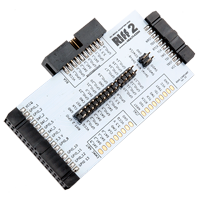 Adapter eMMC/JTAG for Riff BOX 2 - RC2000 allows a very simple repair phones by JTAG using IDC20 pin connector known from previous riff but offers also support for eMMC using leatest 30 pin connector (IDC 30 pin). By this you can repair phones with blocked JTAG access (GT-i9300 / N7100 / N719 / N7102, etc. ), repair phones with damaged JTAG points/pads (access to ROM2 by EMMC) or read/write EMMC applicable for the data recovery/analysis. Using the adapter you can perform format EMMC or low-format (in case of damage EMMC), CMD42 Lock/Unlock/Pasword reset or Samsung eMMC Factory Format. 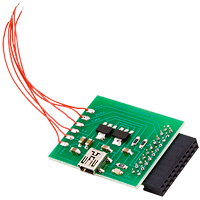 Our adapter allows you to connect in ISP mode (directly onto your phone without removing the EMMC) or Direct (by removing the BGA soldering and the corresponding memory fields or using adapter). Adapter Riff 2 Emate Pro USocket it's additional adapter for eMate Moorc PRO v1 edition which allows to use universal BGA socket and connect it to Riff 2 box for eMMC reading. 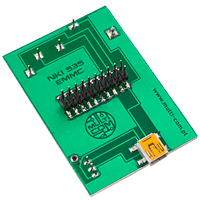 E-Tool eMMC 5in1 Reader/Adapter is needed to read / write eMMC chips using your professional eMMC tool, it allows you to perform direct chip reading and writing of eMMC chips. 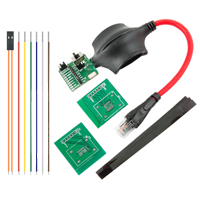 Compatible with many emmc tools including Riff Box 2, Medusa Pro Box, Z3X Easy Jtag Box, GPG EMMC Box, UFi Box etc. 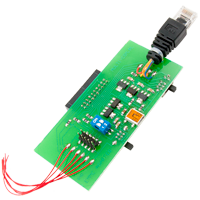 EMMC adapter for Easy Z3x JTAG Box allows to easy repair of phones with disabled access to bootloader via DCC (GT-i9300/N7100/N719/N7102) or phones with demaged JTAG pinouts (access to ROM2 by EMMC). Adapter allows also in PRO version for low level formating of EMMC, easy one button repair boot via EMMC Direct, repartition Slave/Master. Our adapter you can use for ISP (in phone board) and direct connection. 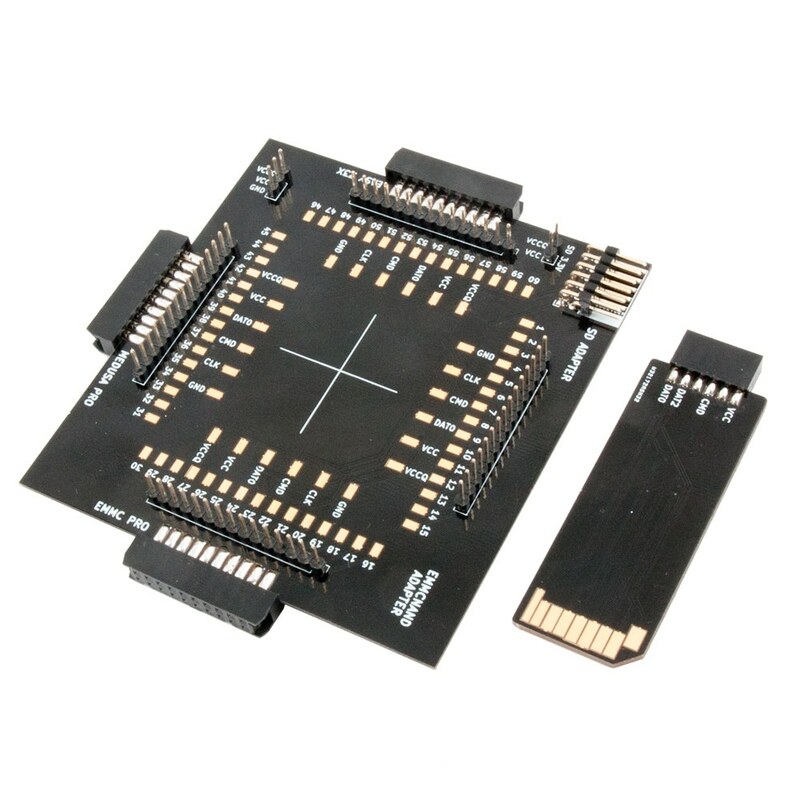 EMMC NAND Adapter -> LA allows trouble-free eMMC connectivity through the built-in controller as well as all NAND bus interfaces for analysis via Logic Analyzer. 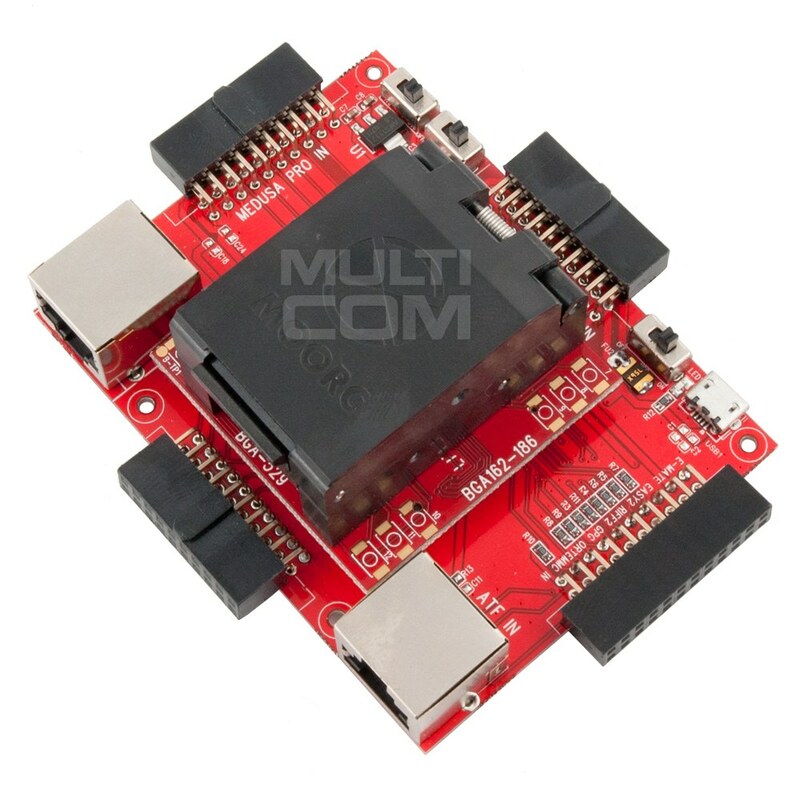 Adapter mainly used for finding NAND pinouts for eMMC chips with faulty controller. 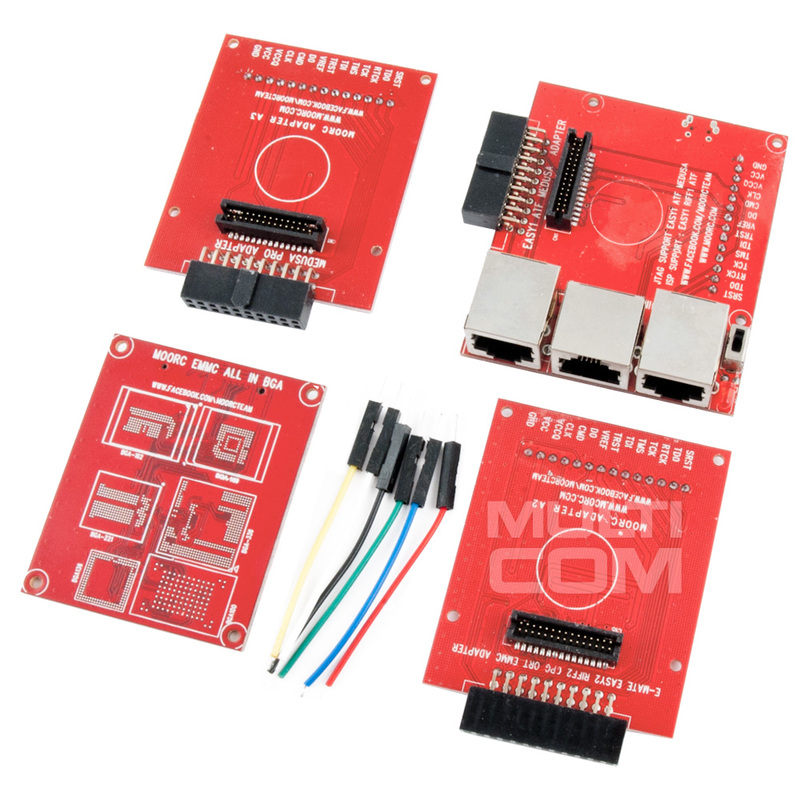 JTAG/eMMC ISP 4in1 Adapter Kit MOORC 2018 is a set of adapters that offer direct programming (BGA162 / 186, BGA 153/169 and BGA 221) with Riff, Easy Z3x JTAG, ORT, GPG as well as use JTAG communication. 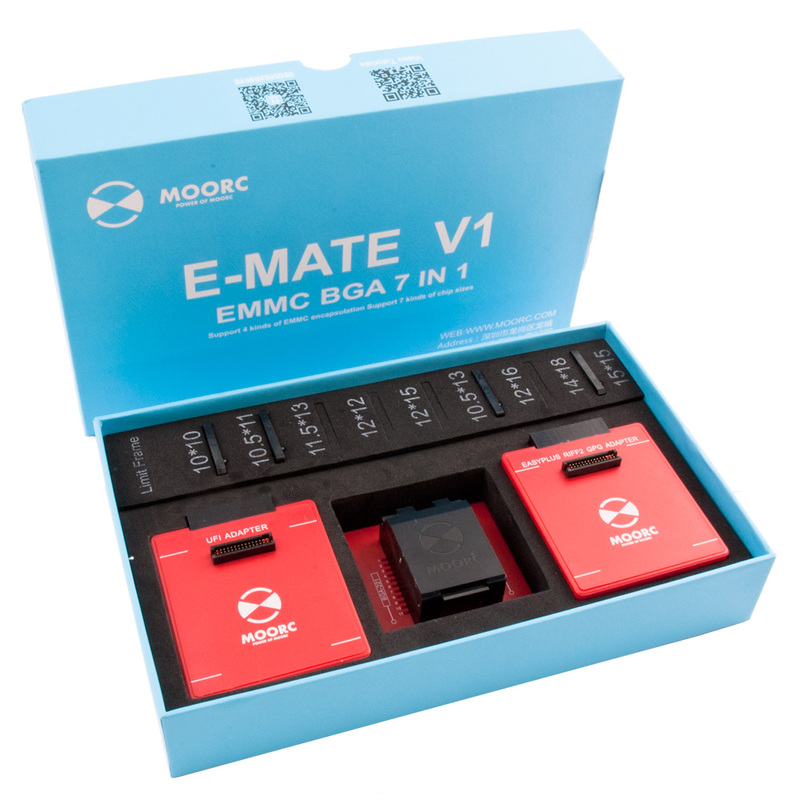 Moorc E-Mate V1 EMMC BGA 153/169, 162/186, 221, 529 (7in1) is a set of adapters allowing for direct eMMC BGA 153/169, 162/186, 221, 529 memory connection and read and/or write it contest. 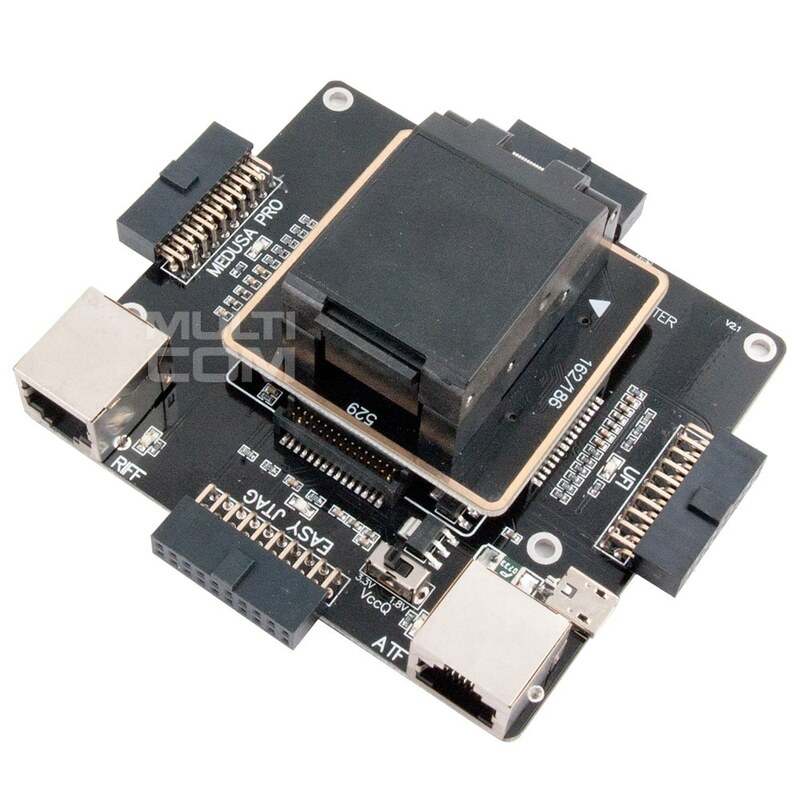 Adapter/Socket is fully compatible with many eMMC devices, such as Riff Box, Riff Box 2, Medusa Pro Box, Z3X Easy Jtag Box, Easy Z3x Plus, GPG EMMC Box, UFi Box, etc. 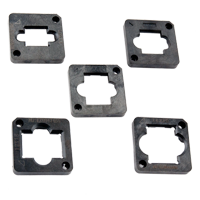 The V1 version support standard BGA chip 153/169, 162/186, 221 and 529.